Okay, no surprise to anyone who knows us why I picked out this outfit for Maddie Grace. Girlfriend loves dogs. “Woof” is her most commonly said word. When I put this outfit from ÄVENTYR kidswear on her I didn’t think the barking would end. She also kept pointing at the dogs on her shirt while woofing which was pretty cute. 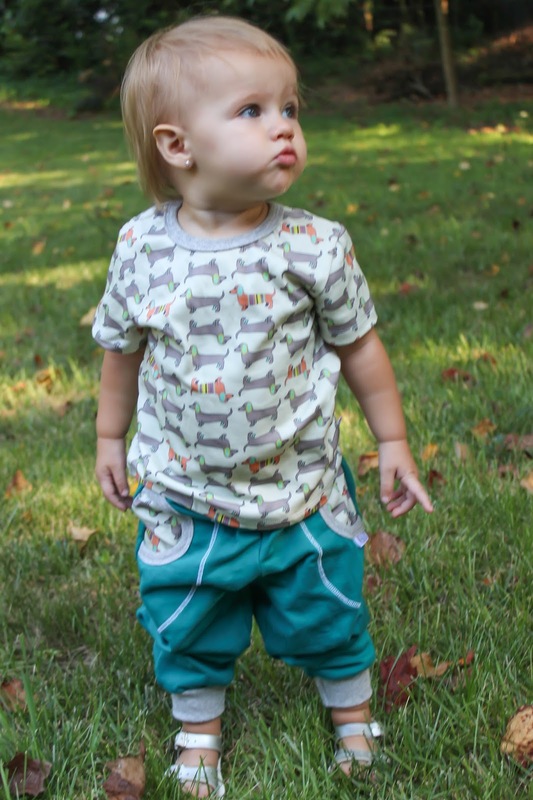 ÄVENTYR kidswear products are made using the softest organic cotton with water based, ecologically safe pigment ink. 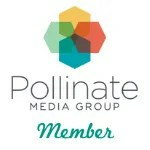 All items and fabrics and original designs that are made here in the USA – you won’t find them anywhere else! 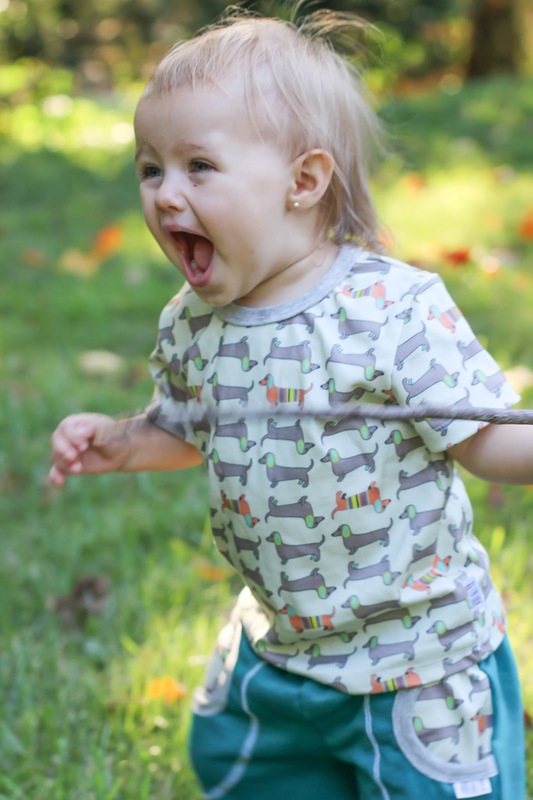 ÄVENTYR kidswear’s name was derived from the Swedish word for adventure, which is appropriate since their outfits are perfect for little explorers and the owner/designer is a Swedish mom named Jenny now based in Maine. 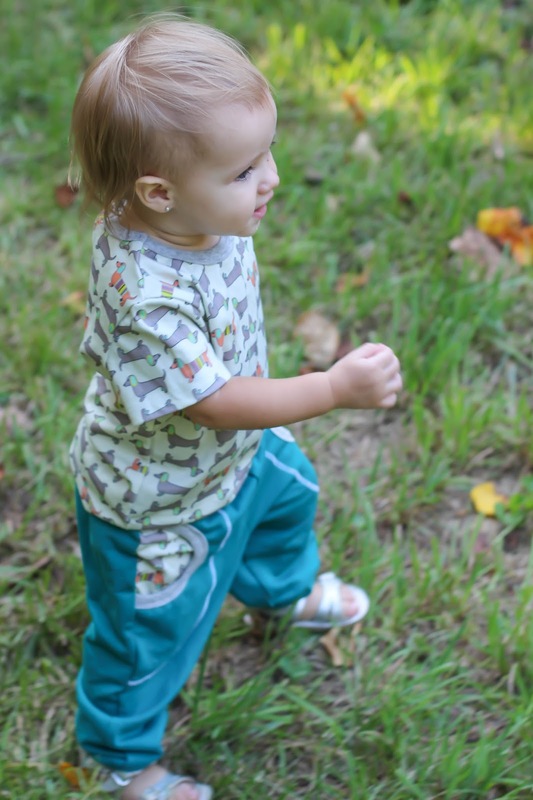 Jenny wanted to make gender neutral outfits that are functional for little ones, while also inspiring imagination! This outfit really is so soft and comfy. The pants are lined with the softest fleece which is a little heavier than we need right now in Georgia, but I know MG will wear them into the fall. ÄVENTYR kidswear also sells adorable tunic dresses and shorts perfect for this time of year. They also have the cutest kid aprons, beanies and blankets. It’s not often that I put an outfit on Maddie Grace that she clearly likes as well, but she was thrilled with getting to wear doggies, so this outfit was a hit for both of us. 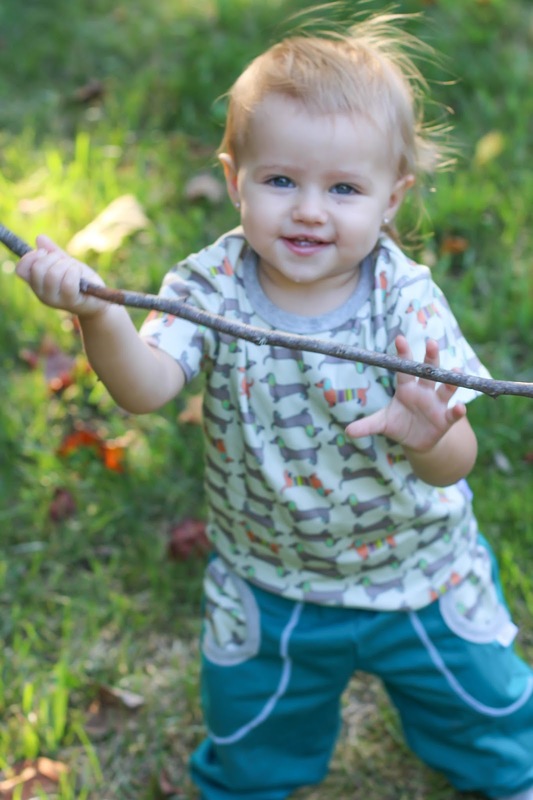 I’ve teamed up with ÄVENTYR kidswear to give one reader $60 credit which should cover the perfect outfit for a special little one in your life! US only 18+ to enter using the form below. Good luck! 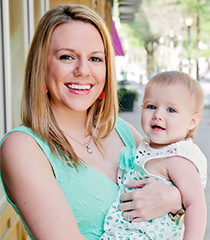 Your daughter is simply adorable – I am going to be a first time grandmother (having a grandson) in just a few months – looking at her makes me very excited for days ahead! Thank you 🙂 Congratulations that is so exciting! Oh my gosh she is SO cute! H would love the dogs or the yellow squirrels! I would get the baby dachshund shirt for my son. their prints are so cute!! 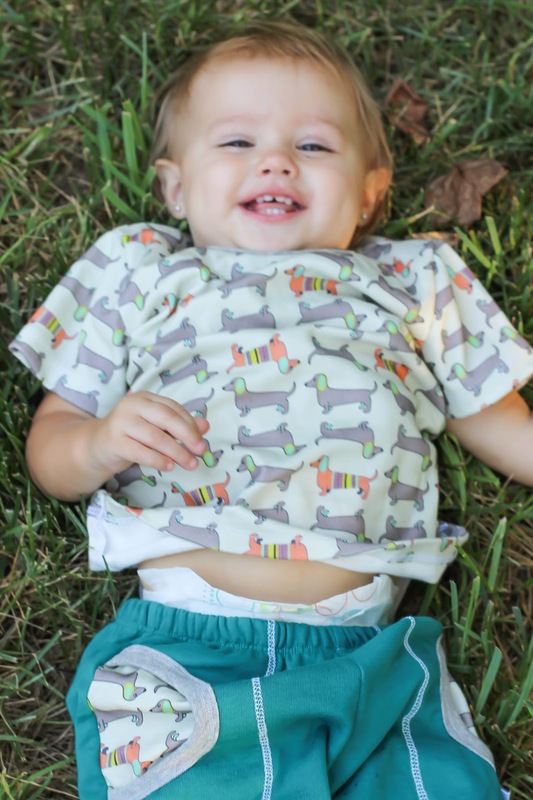 I love the KIDS LONG SLEEVE – DACHSHUND. So cute and we have a dachshund. Id love the sweatpants and the blanket in the trees print!! so cute! I'd totally get the dachshund shirt! Love this outfit! The dachshunds and the bugs are presh! SO cute!! I love the butterfly shirt for my little girl!! Adorbs!